Most ecommerce companies have incorporated cloud computing into their storage strategy by now. According to CRN Cloud News, the amount invested by small businesses alone in cloud computing is fast approaching $100 billion. This is due to the various benefits offered by the cloud, including improved efficiency and cash flow. However, many businesses invest in cloud hosting without fully considering their goals. Clearly understanding and articulating the desired outcomes regarding a move to the cloud can help you make the best choices for your company, as well as measure how the results compare with your expectations. Security. Physical storage mechanisms, computers, and mobile devices exhibit inherent vulnerabilities to theft, damage, and hardware malfunctions. When data is duplicated and stored in the cloud, users can access it in case of power or device failures. Document management. In a knowledge-based environment, documents often travel between multiple users, who all need to make modifications. With the cloud, rather than transmitting documents back and forth via email, users can keep their files in one central location. This allows for better efficiency and stronger collaboration. Remote access. Travel, remote work, and multiple office locations are a reality for many companies. Rather than tethering users to one computer, it offers them the ability to access company data from any device, anywhere in the world, leading to increased productivity. Automatic updates. When companies use cloud computing suppliers, they no longer have to worry about performing server maintenance. Security updates and other important maintenance take place remotely and with no additional action required by the business. Flexibility. As companies grow, their storage and bandwidth needs may change rapidly. With cloud computing, these changes can be made quickly and without the need to add additional on-site infrastructure. This allows companies to better meet business demands without missing crucial opportunities. Increased competitiveness. With the enterprise-class technology offered by the cloud, small businesses can act quickly to keep pace with competitors. Environmental considerations. By moving to the cloud, companies reduce their energy consumption by 30 percent or more over that of on-site servers. It also reduces the physical space required for infrastructure, freeing up valuable square footage for other purposes. What Happens When Companies Don’t Clearly Define Goals for Cloud Hosting? Choosing a hosting provider without the infrastructure or capabilities you need. Wasting money on a package that far exceeds your company’s needs or capacities. Selecting options that prove impractical or inappropriate for your business needs. Miscommunication of your expectations to the cloud hosting provider, ill equipping them to satisfy your requirements. What Types of Goals Do I Need to Articulate? Increased efficiency. Is your IT department spending a disproportionate amount of time on duties that could be delegated to an outside provider? If your company’s technical personnel are spending time managing infrastructure that should be spent on higher-level duties to help advance your business, this could be a compelling reason to invest in a private cloud hosting service. Perhaps your goal is to reduce IT staff, redirect their job duties, or avoid hiring additional personnel. By quantifying your efficiency goal (i.e. “30 percent less time spent on storage-related IT duties” or “10 percent reduction in required IT workforce”), it will become easier to determine after moving to the cloud whether it helped you achieve your goal. Company agility. Do you want your company to benefit in real time from the successful processes, formulas, and interfaces of others? Ask your web hosting provider how the cloud can give you access to the shared input and learning of its various clients. Innovation. The most innovative and effective companies engage in consistent experimentation with new ideas and ventures. With the cloud, you can explore new product lines and other pursuits without spending time and money on new infrastructure. If you want to be able to shift your business focus quickly and with little risk, include this goal in your cloud computing plan. Simplified operations. 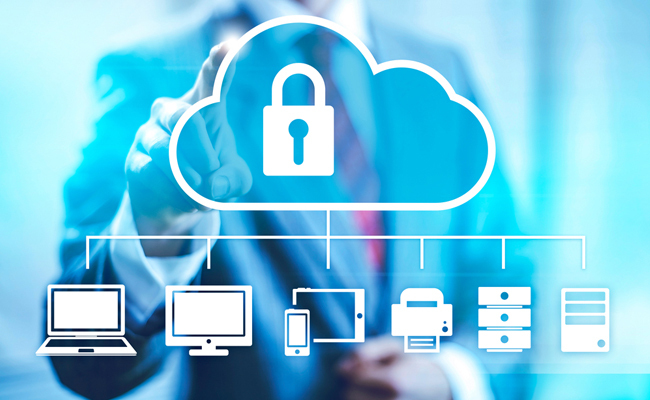 With the cloud, you gain access to all of your most important data and resources from any connected device. To gain the greatest benefit from your new cloud hosting, make sure you and your provider know which devices, applications, and other products are essential to making it a smooth and productive transition. Better resource allocation. Your bottom line depends on how you direct your resources. Whenever a less expensive option is available, it behooves you to explore its potential usefulness for your company. When considering resource allocation as one of your goals for migrating to the cloud, take into account all of your current infrastructural costs, as well as the potential costs of the new system. You should be able to quantify the difference between the two and determine where you will allocate any resources you save. Scalability. As a growing business, your needs change on a regular basis. 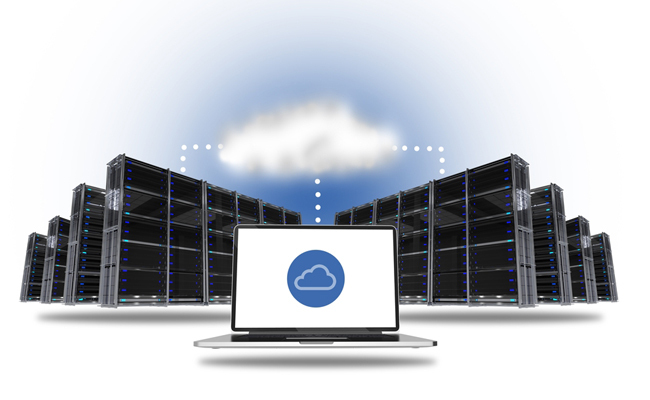 Cloud hosting offers the unique opportunity to upgrade your storage capabilities quickly to meet rising demands. Consider the rate at which your business is expanding to determine the level at which you want to begin a cloud strategy, but also understand the costs and timeframes related to adding additional storage capacity. However your company hopes to benefit from switching to the cloud, taking the time to define and articulate those goals can help you make the best investment while communicating your needs and expectations to your hosting provider. The experts at AccuWebHosting are happy to talk with you regarding your goals for private cloud hosting and help you find the package that works best for your company. To learn more, contact us today.